Mary's actual birthdate is 1841. The stone maker was wrong both times he engraved it. 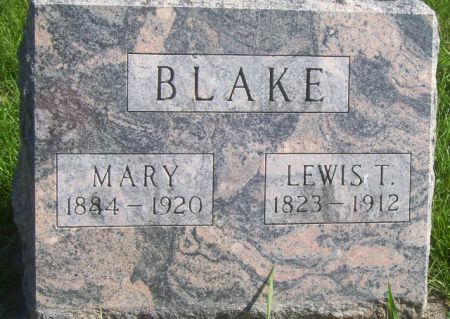 Searching for LEWIS T. BLAKE in Poweshiek County Iowa?